Bobby Robinson (April 16, 1917 – January 7, 2011) was an American independent record producer and songwriter in New York City, most active from the 1950s through the mid-1980s. He produced hits by Wilbert Harrison, The Shirelles, Dave "Baby" Cortez, Elmore James, Lee Dorsey, Gladys Knight & The Pips, King Curtis, Spoonie Gee, Grandmaster Flash & The Furious Five, Doug E. Fresh, and Treacherous Three. He founded or co-founded Red Robin Records, Whirlin' Disc Records, Fury Records, Fire Records and Enjoy Records. Bobby Robinson's catalog is represented by Mojo Music & Media. Born in Union, South Carolina, Robinson served in the US Army in World War II. After the war, Robinson moved to New York City and opened "Bobby's Record Shop" (later "Bobby's Happy House") in 1946. His was the first black-owned business on Harlem's famed 125th Street. Located on the corner of 125th St. and Frederick Douglass Boulevard (formerly, "8th Avenue"), his shop remained open until January 21, 2008, forced to close only because its landlord planned to raze the building for new construction. Robinson's store outlasted large chain store competitors, including HMV and the Wiz. The store became a focal point for the independent record producers establishing themselves in New York, and Robinson spent some time assisting Ahmet Ertegun at Atlantic Records. He produced his first recording, "Bobby's Boogie" by saxophonist Morris Lane and his band, in 1951, but originally specialised in recording vocal groups including the Mello-Moods, the Rainbows, the Vocaleers and the Du Droppers. 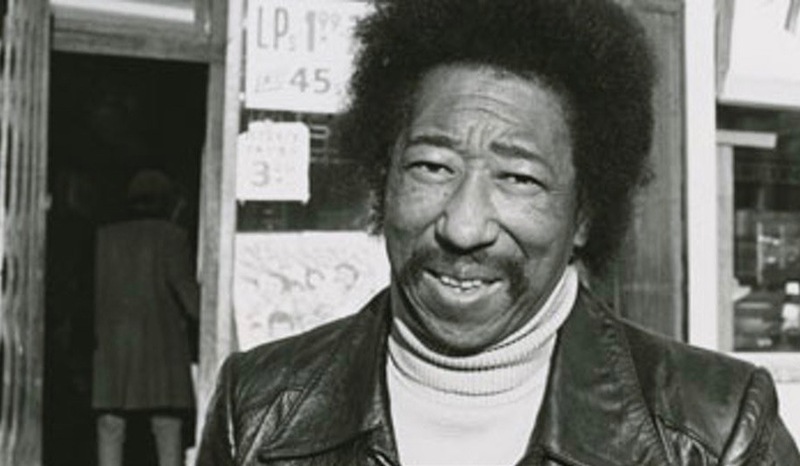 However, he also recorded blues performers such as Sonny Terry and Brownie McGhee, and had his first major success with "Shake Baby Shake" by Champion Jack Dupree in 1953. The record was released on Red Robin Records, which Robinson had established the previous year, originally under the name Robin Records until forced to change the name after legal threats by another company. Having enjoyed healthy local sales with doo-wop and blues discs in the early-to-mid-1950s, he established several more record labels in the 1950s and 1960s, some in partnership with his brother, Danny Robinson. Among them were Whirlin' Disc Records in 1956, Fury Records and Everlast Records in 1957, Fire Records in 1959, and Enjoy Records in 1962. He launched Fire and Fury as vehicles for rhythm and blues and rock and roll artists, most of which were produced by him in New York City, but some were produced by others and acquired by him in various Southern cities. Robinson produced numerous million-selling records by such notable performers as Wilbert Harrison, The Shirelles, Lee Dorsey, and Dave "Baby" Cortez, many of whom were signed to the label by A&R man Marshall Sehorn. One of his earliest hits was Harrison's "Kansas City", over which he faced legal action brought by Herman Lubinsky of Savoy Records, who claimed he had Harrison under contract. Robinson produced Gladys Knight & the Pips' first hit, "Every Beat of My Heart" (after he signed them to Fury; the original version was recorded in Atlanta, issued locally on Hintom and leased to Vee Jay, who had the bigger hit). Robinson produced several of Elmore James' greatest records as well as recordings by other leading blues musicians including Lightnin' Hopkins, Arthur Crudup, and Buster Brown. King Curtis's "Soul Twist" was the first release of his Enjoy label in 1962, and over twenty years later, he released the highly successful hit, "I’m The Packman (Eat Everything I Can)" by The Packman, on the same label. The rights to Robinson's recordings on Fire and Fury were sold to Bell Records in 1965. The common thread that connected all of Robinson's various record labels was his uncanny ability to bring out the best in his artists. While most producers at that time attempted to soften the edges of rhythm & blues singers in hopes of appealing to the pop market, Robinson delighted in capturing raw-edged artists like Elmore James and Buster Brown just as they were. In the 1970s, Robinson produced some of the first hip-hop music records for his "Enjoy" label and had considerable influence and success in that genre through the mid-1980s. He achieved another success in 1979, when he recorded Grandmaster Flash & the Furious Five's first record, "Superrappin'", an innovative record which was very influential in hip-hop's early years. A local hit among New York area hip-hop fans, the music industry, however, was not ready for the new sound, and the record failed to hit nationwide. Robinson then went on to commercial success with other old school hip hop artists, including Pumpkin and Friends, the Funky Four Plus One More, Spoonie Gee (Robinson's nephew), and Kool Moe Dee with the Treacherous Three. Robinson chalked up yet another success when he produced Doug E. Fresh's "Just Having Fun (Do The Beatbox)", which introduced beatboxing to the record-buying public. Robinson died on January 7, 2011 at the age of 93, after a period of declining health. 502 – Otis Scott – New Kind Of Love / ? FULP-1001 – Letter Full Of Tears – Gladys Knight & Pips [Unissued?] The trail off wax of FULP-1003 also has FLP-1001 which is scratched out. This would indicate that the Gladys Knight album was intended to be Fury 1001. FULP-1003 – Letter Full Of Tears – Gladys Knight & Pips  The label is yellow with black printing. Trail off wax contains FU-LP-1003 and FLP 1001 which is scratched out. Letter Full Of Tears/You Broke Your Promise/Operator/I'll Trust In You/Morning Noon And Night/I Can't Stand By//Every Beat Of My Heart/Room In Your Heart/Guess Who/Stop Running Around/What Shall I Do? 1002 – Chuck Paulin – Everybody's Talking / ?